Aviation holds a certain intrigue in people's minds. Everyone has heard the stories of airplane wrecks. They are much like the tales of sunken ships. 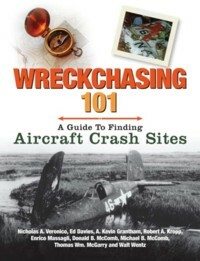 Wreck Chasing provides the thrill of discovery mixed with the romance of flight. both civil and military aircraft are covered.